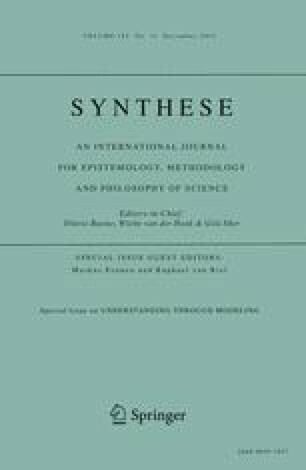 This paper is aimed at identifying how a model’s explanatory power is constructed and identified, particularly in the practice of template-based modeling (Humphreys, Philos Sci 69:1–11, 2002; Extending ourselves: computational science, empiricism, and scientific method, 2004), and what kinds of explanations models constructed in this way can provide. In particular, this paper offers an account of non-causal structural explanation that forms an alternative to causal–mechanical accounts of model explanation that are currently popular in philosophy of biology and cognitive science. Clearly, defences of non-causal explanation are far from new (e.g. Batterman, Br J Philos Sci 53:21–38, 2002a; The devil in the details: asymptotic reasoning in explanation, reduction, and emergence, 2002b; Pincock, Noûs 41:253–275, 2007; Mathematics and scientific representation 2012; Rice, Noûs. doi: 10.1111/nous.12042, 2013; Biol Philos 27:685–703, 2012), so the targets here are focused on a particular type of robust phenomenon and how strong invariance to interventions can block a range of causal explanations. By focusing on a common form of model construction, the paper also ties functional or computational style explanations found in cognitive science and biology more firmly with explanatory practices across model-based science in general. Many thanks to Markus Eronen and Raphael van Riel for organizing the ‘Explanatory Power 2’ workshop that parts of this paper were prepared for, and the audience there for their comments. Thanks also to Matteo Colombo, Kim Sterelny, and Chris Lean for feedback on earlier versions of the paper, and to Catherine Stinson for discussions on models. Rice, C. (2013). Moving beyond causes: Optimality models and scientific explanation. Noûs. doi: 10.1111/nous.12042.